The scientific method dictates how researchers can make claims about the underlying truth by confronting prior hypotheses to a random sample of data. A fundamental task of Statistics is to allow researchers to balance their hypotheses with data-optimized results. 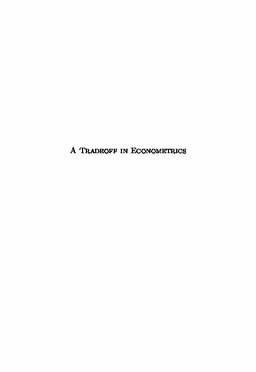 This thesis shows that current statistical approaches make it difficult to control such a tradeoff and proposes an intuitive alternative. In the process, it will be explained how the famous coefficient of determination R2 can be unpacked, so that the individual relevance of deviating from each hypothesis can be quantified. Next to presenting novel techniques for estimating and selecting parameters of the linear regression model, a convenient tradeoff is defined for weighing observations and for the search of an optimal configuration. Keywords Linear regression model, Ridge, Lasso, Zellner, Bayesian, elastic net, accuracy, simplicity, tradeoff, astimator, information criterion, number of parameters, breaks, weighing observations, configuration selection, grid, expected improvement.